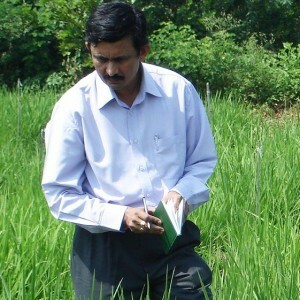 Mugalodi Ramesha is Irrigated Rice Breeder, IRRI and CSISA Objective 3 Leader. He has more than two decades of experience developing high yielding varieties with better grain quality, resistance to biotic stresses, better adaptability to puddle transplanted and dry direct seeded conditions in South Asia. He has developed and released two rice hybrids and three varieties for different states of India, published more than 60 research papers and been recognized through multiple awards. How does rice breeding help ensure food security in South Asia? Sustainable, more profitable and viable methods of rice cultivation can help ensure food security in Asia. Degradation of natural resources, decreasing availability of labor and water, deteriorating soil health and water quality, ever-changing climatic conditions, reduced profitability of rice cultivation, lack of interest in agriculture by the rural youth, inadequate minimum support price and inefficient procurement of the produce are some of the major constraints for improving rice productivity and production in South Asia. Rice breeding helps produce improved varieties and hybrids with high yield potential, region-specific grain quality traits, biotic and abiotic stress-tolerance and suitability for different cropping systems. When coupled with better management practices, rice breeding can significantly improve the profitability of rice cultivation for farmers. What are some of the key challenges for development and use of hybrid rice in India? There is no doubt that hybrid rice can boost yield and enhance efforts to achieve food security. One of the key challenges is a moderate level (12 to 15 percent) of heterosis in present day hybrids. Achieving only moderate levels of outbreeding enhancement is not sufficient to make it attractive for farmers and hence, the magnitude of heterosis must be enhanced to at least 25 percent. Other challenges include development of region-specific long-duration hybrids with abiotic- and biotic-stress-tolerance and desirable grain quality traits as per consumer preference in different market segments. We must also work towards reducing the cost of hybrid seeds by increasing the seed-yield in hybrid rice seed production plots. 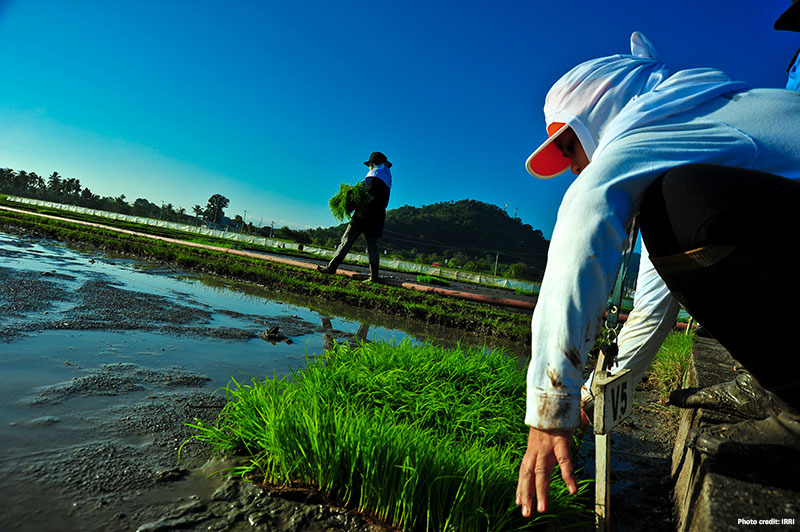 How does CSISA’s work on rice breeding address these challenges? CSISA’s work on development of parental lines of hybrids, new varieties, the popularization of private-bred hybrids and varieties for different methods of crop establishment under various cropping systems have all resulted in enhanced system productivity, thereby increasing the profitability of various agricultural enterprises for farmers in South Asia. How can new improved varieties reach farmers more quickly? The answer to expediting the current lengthy process of variety release lies not in changing one particular aspect alone but in addressing a variety of factors together. First, the breeding programs need to be market-driven and should be accelerated through the careful blending of molecular and conventional breeding tools; second, by efficient and quick product testing and release policies; third, through aggressive seed production and distribution systems; and finally, in effective technology transfer by various stakeholders. A combined improvement on all these fronts is essential to reduce the time taken between the official release of a new variety and its eventual adoption by farmers. Can you highlight some outcomes of CSISA’s rice breeding work? CSISA has developed an array of new breeding lines with high genetic yield potential, region-specific grain quality traits, adaptability to water-saving technologies, improved plant-type features suitable for different methods of crop establishment, biotic-stress-tolerance and reproductive-stage heat-tolerance. These have been shared with the national agriculture research and extension systems (NARES) and many of these elite breeding lines are currently in advanced stages of testing in multi-location trials at state and national levels. The genetic yield potential of four elite varieties (NSIC Rc82, NSIC Rc158, NSIC Rc222, and NSIC Rc238) and three mega varieties of India (Swarna, Samba Mahsuri and MTU1010) is being enhanced by incorporating three cloned genes, for high grain number (Gn1a), bigger panicle size (Spl14) and strong culm (SCM2). Many promising entries for direct-seeded rice have been identified in Nepal and Bangladesh. Out of 60 rice entries tested during the 2014 dry season under machine-sown dry direct-seeded rice, 15 entries recorded more than 7.5 tons/ha. Besides assisting the strengthening of NARES breeding programs for accelerated product development, CSISA has also contributed to their regular breeding programs with new breeding lines with novel traits such as phosphorous uptake, anaerobic germination, and better plant architecture.